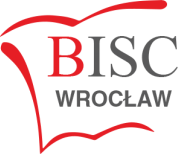 BISC Wrocław welcomes students from all across the globe, and as such students who may be new to English. The English as an Additional Language (EAL) policy at BISC Wrocław is centred on the understanding that newly arrived children who have not previously had exposure to the English language face a three-fold difficulty: keeping up with their studies, making new friends and learning an entirely new language which may be greatly different from their native tongue. EAL lessons are scheduled to ensure no impact is made on their regular lessons, following English National Curriculum guidance that enshrines full access to all areas of the curriculum for all learners. EAL lessons take place during Literacy lessons in the Primary School, with additional support offered in lieu of a foreign language. Individual programmes are developed with newly arrived secondary-aged pupils based on their course decisions and the extent of their EAL need. As many of our students progress to universities in the United Kingdom and continental Europe, our EAL teachers also ensure students reach their full potential in tests of English language ability such as the IELTS, TOEFL and the Cambridge ESOL suite of examinations. EAL programmes focus on communicative competency as the foremost priority. This includes the language needed to make strong social bonds and to excel in academia. Our teaching in the lower years takes a naturalistic approach, drawing on leading linguistic theory on the acquisition of additional languages in childhood. At all times, EAL intervention programmes are fun and supportive places to learn, thrive and gain confidence in English. As students near the end of their education, regular examination practice is provided with small groups focusing on specific requirements and skills, determined by our pupils’ desired destination for university admission. Across the range of EAL examinations available, our students consistently achieve excellent results often exceeding the required level for admission to top British universities. There are two distinct strands of assessment in EAL at BISC Wrocław. Students’ progress is tracked according to the Extended Scale of on-going assessment, which is linked, to both National Curriculum levels and the Common European Framework for describing language ability. Students are set weekly targets in language skill areas with their progress reviewed at regular departmental meetings. We also undertake periodic summative assessment using the Cambridge ESOL suite of examinations across the age-range of the school. Our Primary students sit the Cambridge YLE exams, with many achieving the highest possible results at the “Flyers” level. Likewise, we encourage out secondary students to pursue the FCE qualification and Cambridge IGCSE in English (Second Language) as a target and focus to their language learning. More details on the statutory guidance on the provision and assessment of EAL can be found in the downloads section.